In today’s talk, Rev. 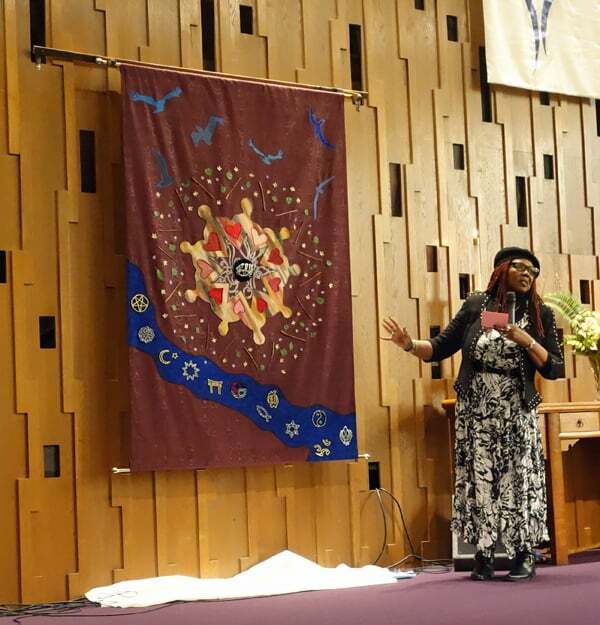 Karen spoke of the Baha’i faith, likened some core ideas to Unity’s core ideas, and dedicated the Baha’i Tapestry. She spoke of Baha’is celebrating the differences of all of the races of humanity: just as the flowers in a garden differ, adding to its beauty, so do the races of humanity. She also spoke of stories of the building of the Baha’i House of Worship for North America, which is located near Chicago, and that it took 70 years to build; and contrasting that with our own building plans. Our guest artist, Parham Souir, sung wonderfully to us in Persian.